Lynn Masako Cheng in “Unbreakable Kimmy Schmidt,” Pictures From KOT at THE SOUND OF MUSIC, and more! 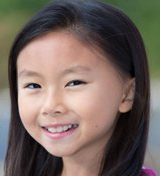 Alum Lynn Masako Cheng (Annie) is in the final season of “Unbreakable Kimmy Schmidt”! Watch a clip below! KOT’s founder Lindsay had a great day yesterday seeing the national tour of The Sound of Music in Thousand Oaks not once but twice! Check out pictures of her meeting the kids backstage below! And check out these pictures and videos from the kids of The King and I, Les Miserables, The Sound of Music, Charlie and the Chocolate Factory, Waitress, School of Rock, On Your Feet, The Lion King, and Miss Saigon! Pictures and Video and THE KING AND I, THE LION KING, ANASTASIA, and more! Check out these pictures and video from the kids of The King and I, The Lion King, Anastasia, Les Miserables, The Sound of Music, School of Rock, Dear Evan Hansen, Miss Saigon, and Finding Neverland! WAITRESS Naples Audition Media Coverage, Pictures From MISS SAIGON, and more! Yesterday was National Swing Day! We salute the child swings currently on tour – Eliot Waldvogel (The King and I), Henry Berry (The Sound of Music), Alexandra Bradley (The Sound of Music), Jesse Sparks (School of Rock), Bella Fraker (School of Rock), Isabella Rose Sky (School of Rock), and Blake Ryan (School of Rock)! Check out photos from Waitress auditions in Naples, Florida, HERE and watch a video of auditions below! And check out these pictures and video from the kids of Miss Saigon, The Sound of Music, The King and I, Finding Neverland, and Les Miserables! 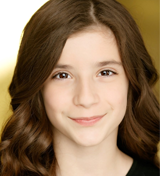 Iara Nemirovsky and Luké Barbato Smith in RAGTIME at Pasadena Playhouse, Pictures From THE SOUND OF MUSIC, and more! 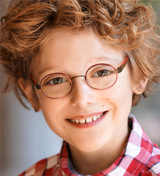 Alumni Iara Nemirovsky (School of Rock) and Luké Barbato Smith (Fun Home) are in Ragtime at Pasadena Playhouse in Los Angeles! Get more info at TheaterMania.com! And check out these pictures and videos from the kids of The Sound of Music, The King and I, Finding Neverland, School of Rock, Anastasia, Charlie and the Chocolate Factory, Les Miserables, and A Bronx Tale!